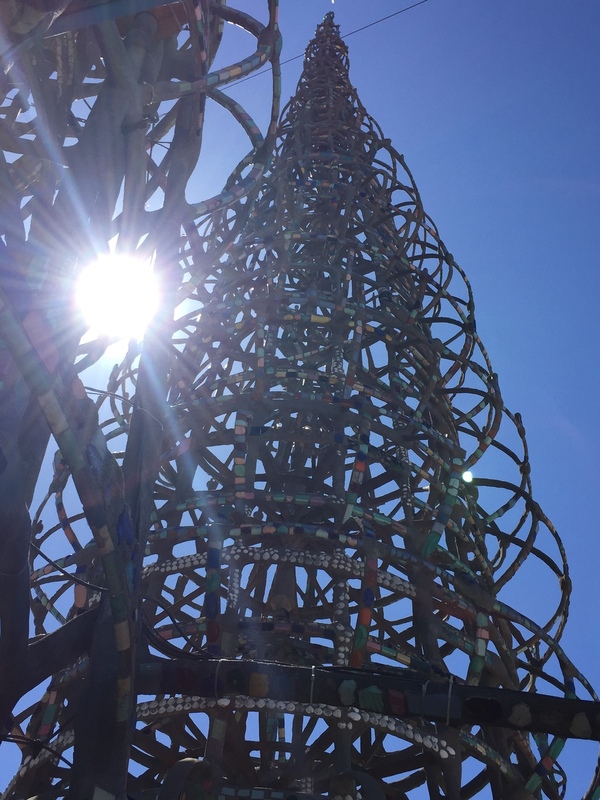 Italian immigrant Sam Rodia spent more than thirty years constructing the Watts Towers - a surprisingly graceful maze of seventeen interconnected sculptures - in the Watts neighborhood of Los Angeles. A tile mason with a vision, Rodia created the towers from steel rebar and decorative 'found objects' including milk of magnesia and 7Up bottles, refusing to give up his dream despite complaints from neighbors, civic leaders, and city managers. What legacy do you want to leave behind? While it may not be an actual tower, is there a product or service, charitable cause or corporate culture on which you want to leave your own indelible stamp? Even if you're young in your career or feel that you don't have the power or influence right now to leave a lasting legacy, you do have the power to dream. Be intentional about the legacy you want to leave. What do you stand for? What do you want people to remember when they think of - or talk about - you? Do you want to be the person who started the internship program? Who created the company's killer app? Who set a new standard for collaboration or recruiting practices? Start turning your ideas into action. What actions and behaviors can you implement now that will move you incrementally closer to your vision? Can you launch a related project or program? Gain some new knowledge or skills? Start building internal support for your vision? (Remember, it took Rodia thirty years to build his tower. Connect the dots between your present job and your future vision. When you know your long-term goals can benefit your colleagues and company in the short-term, you've got nothing to hide. Share your vision for how you plan to bring massive value - now and in the years to come. When a visitor compared Rodia's towers with architect Antoni Gaudi's Sagrada Familia in Barcelona, Rodia asked two questions. "Did he build it by himself? "Did he finish the project?" The answer to both of those questions was a resounding no. Gaudi had an entire team of craftsmen but the church, begun in 1882, is still unfinished. On the contrary, Sam Rodia built his towers single-handedly and completed the project in 1954. Today, his legacy still stands as a National Historic Landmark! Newer PostWhy Do We Hate Change? Older PostPower Up Your Executive Presence!